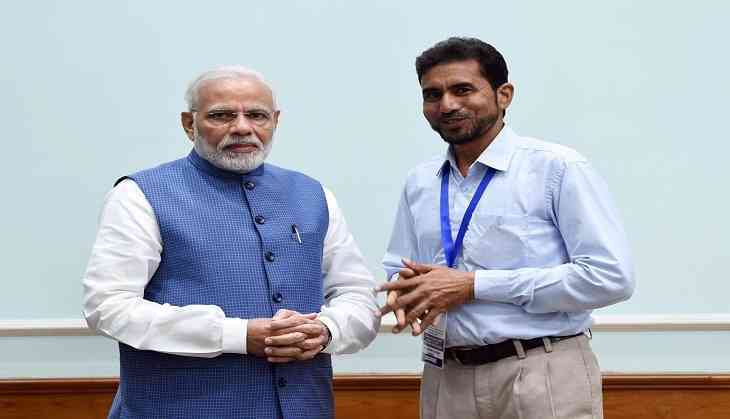 From Haryana’s one of the most backward area Mewat, a teacher Basruddin Khan earned a tweet of commendation from PM Modi on the eve of Teacher’s Day. He has been credited with bringing down drop outs of students especially girls in his school. Highlighting his contributions, Prime Minister Narendra Modi tweeted “Shri Basruddin Khan from Haryana, is a Headmaster who has played a key role in promoting the education of girls. He has also made a significant contribution towards identification and enrolment of out-of-school children. Congratulations to him for the National Award for Teachers”. There are several teachers including Geeta Gangwani from Delhi who got similar tweets of appreciation. However, 54-year-old Basruddin Khan is being commended for his role in bringing down drop outs and spreading awareness on the delicate issue of vaccination in the Muslim-majority district in conservative Mewat. He launched a programme named Udaan with the help of NGO aiming to ensure bring down the drop out of girls. The charm of Khan is so much so that whenever he worked, attendance among students increased dramatically. When he started his career in 1993 in Jharpuri village, in the school he taught there were only 20 students in Class VI to VIII. But when he was leaving that school, the number of student increased to 57. In another schools Government Model Sanskriti Senior School in Siroli village where he taught for 18 years, the number of student increased from 96 to 638 between 1995 and 2013. For the last five years, he served at the Government Middle School in Tappan. As of today, he forced many agencies and NGOs to make investment nearly Rs 1.7 crore in order to improve the school’s condition. Talking about his mantra for this contribution, he said “you have to involve children. There is so much to play with in science and maths. Whenever something is taught practically, kids learn faster and get more curious about it. Then, there is no looking back”.